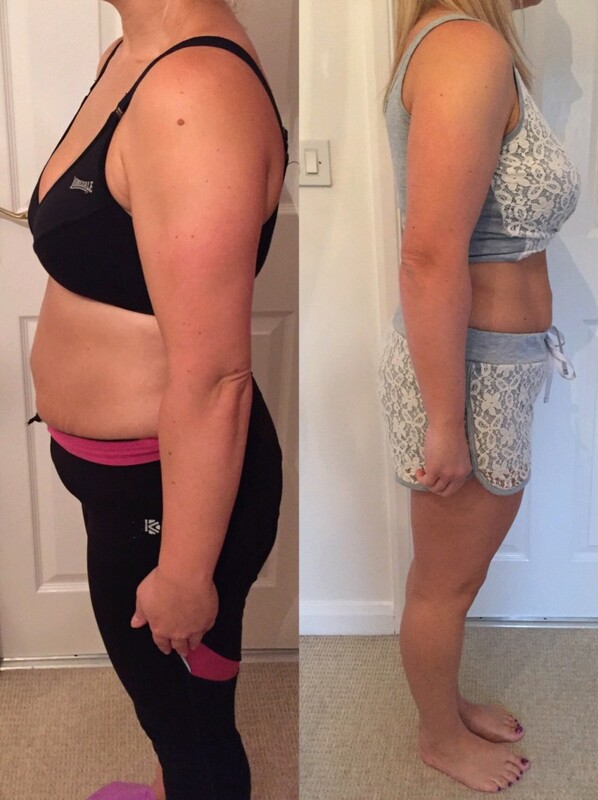 Claire – Mansfield, needed motivating to simply start moving, she followed the eating plan I gave her and trained using my online programs most days, this is her review and the fantastic result of 8 weeks work. I hate exercise, really hate it. 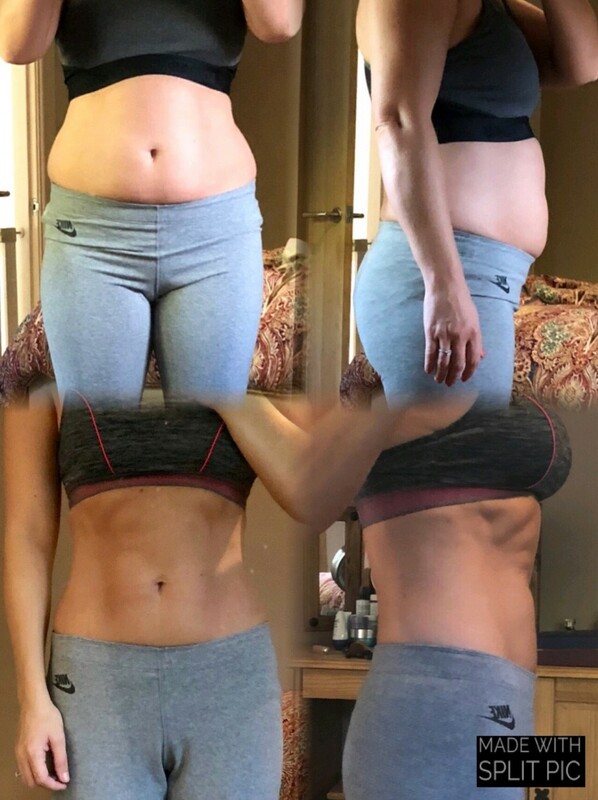 But I reached a point where I had gained weight and knew I couldn’t shift it on my own, because I had tried every diet out there and while great for a quick fix the weight always ended up coming back. Sam is professional, he knows his stuff. He works me hard and I moan all the way through each session, but it has worked! I have lost a lot of weight, he did me a diet plan, which I have never once felt hungry on, and exercises to do at home as and when I can! I still hate exercise, but I do it because mentally and physically I have never felt so great! It has been a lifestyle change which I could not have done on my own. I really don’t live for food anymore, my mindset is different now and I eat to fuel my body not to fuel my emotions. I really really recommend Sam! Rob Kendrick – Berry Hill, wanted knowledge, to train hard, be motivated, improve his climbing, overall fitness and change his body. This guy followed everything I said to the letter, look what happened! Training with Sam has been a great experience. He has taught me a lot about eating correctly and also how to perform exercises with correct form. Both of these have resulted in me losing weight and gaining more muscle. I look a lot leaner now and it is all thanks to Sam. He pushes me on each session and sets me workouts to do in my own time which keeps me motivated on my end goals. More than anything, Sam is just a genuinely nice and friendly guy. I’d recommend using Sam to anyone. Rob Kendrick. Paul Blackmore – Sutton, wanted to change his shape, tried many times to get bigger but just ended up being fatter. wanted knowledge and something that worked. great progress so far after 6 months. I’m 44 years old and looking to improve my fitness and appearance. I’ve trained with Sam now for 6 months and am really happy with my progress. He is professional and will push you so much further, than you ever would do yourself. I’m always spurred on by his positivity and energy. He has a wealthy of knowledge on diet and will help shape a meal plan that suits you. 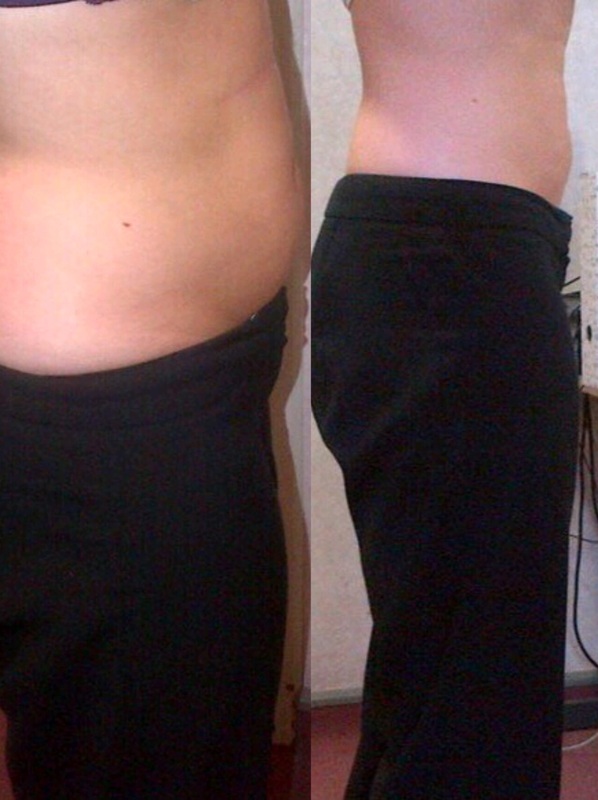 Maureen O’dell – Edwinstowe, wanted to lose weight and be fitter not only in the short term but to maintain for life! 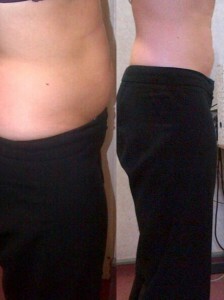 2 stone in 6 weeks and amazing body changes. 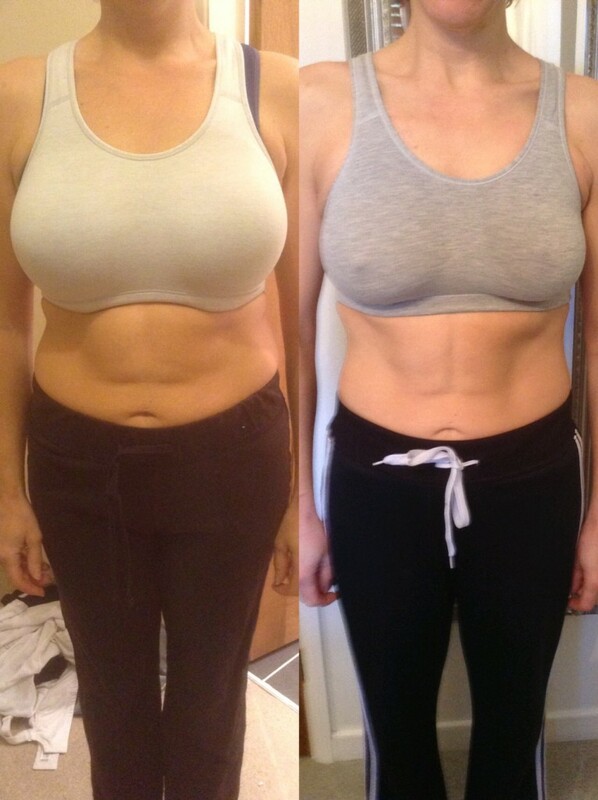 Maureen trains has trained with me twice a week for 6 weeks, at the point of this first picture below she had lost a huge 2 stone in weight and dropped a whopping 20cm from her waist, simply from eating healthy and completing my weekly training plans. she is working hard and this is what you can achieve. here is her review below which makes me soooo happy. I first started training with Sam when I was the heaviest I had ever been. I was always hungry, always tired, my skin was awful and the horrible pains in my stomach had me convinced there was something seriously wrong. I had absolutely zero motivation and knew I needed someone to force me into exercise, so I contacted Sam. I had seen the photos on his facebook of transformations, read the reviews, basically did my homework and I was impressed. I knew I needed someone serious about his own fitness to guide me and Sam is nothing if not that. The first session I was very unfit (two minutes into the warm up and I was gasping for air) but I felt good afterwards. As requested, after a few sessions I happily had my husband take my pictures, I had lost about half a stone through the training and eating right and I was absolutely horrified at how I looked. Fast forward 10 weeks, training twice a week and doing a few of the sessions at home Sam has put together for me, along with an eating plan and the changes are dramatic. I’ve lost over 2 stone and am toning up. Sam is always punctual and enthusiastic.The sessions are always different, always challenging. He finds what works for you to keep you going. Sometimes its encouragement, sometimes it’s tough love. He works around me and my schedule that changes weekly. He keeps in contact between sessions which is a lovely touch. He remembers when my weigh in day is and is as enthusiastic as I am when I get a loss (every week). When my wrist was acting up he even appeared with some wrist supports. With Sam you really do get more than a personal trainer. You get advice on eating, a tailor made workout to do at home, you get a coach who supports you and cheers you on and someone who doesn’t mess about. You WILL get results and you WILL get compliments and you WILL learn to love pushing yourself. It’s just what he does, and he is the best at it. As I’m sure you can imagine, my stomach troubles have dissapeared. I am no longer exhausted, I have bags of energy, I am getting stronger and fitter and want to exercise. The hunger is gone because I eat right and regularly. I am at my lowest weight in 5 years, my skin is glowing and all of this in 3 months?! I can finally face myself in the mirror again. 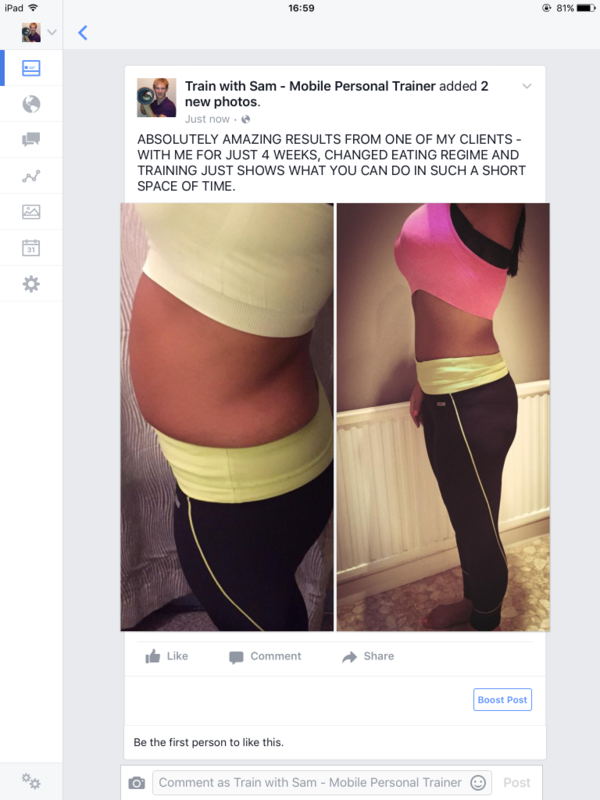 Laura Scrimshaw – Clipstone, wants to lose weight and tone up. Mike Knight – Mansfield Woodhouse, wants to improve his strength for power lifting and also reduce body fat whilst doing this. 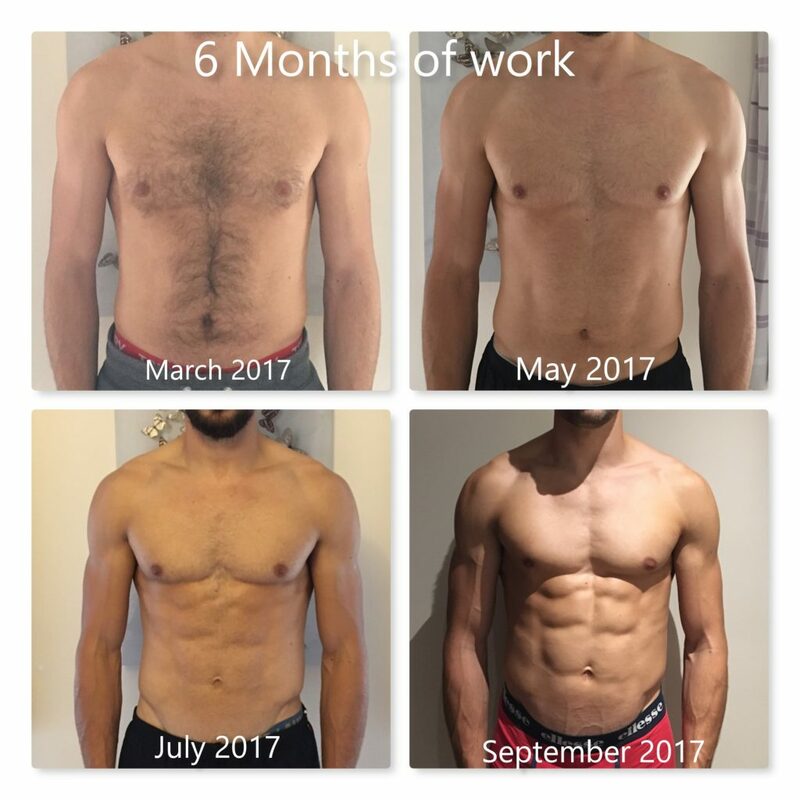 See below for his awesome 6 weeks progress. Mike has a good free weights selection in his garage, he wanted me to progress his form and help him develop a progressive plan to help him build strength. 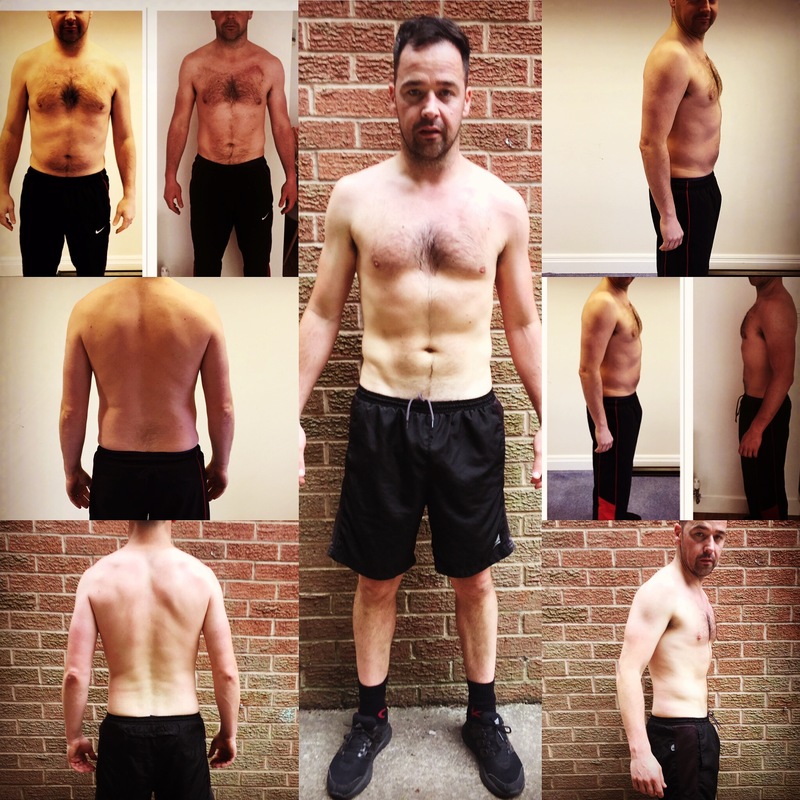 he also wanted an eating plan to help him progress and combine a mixture of losing fat but having enough energy to lift more weight! 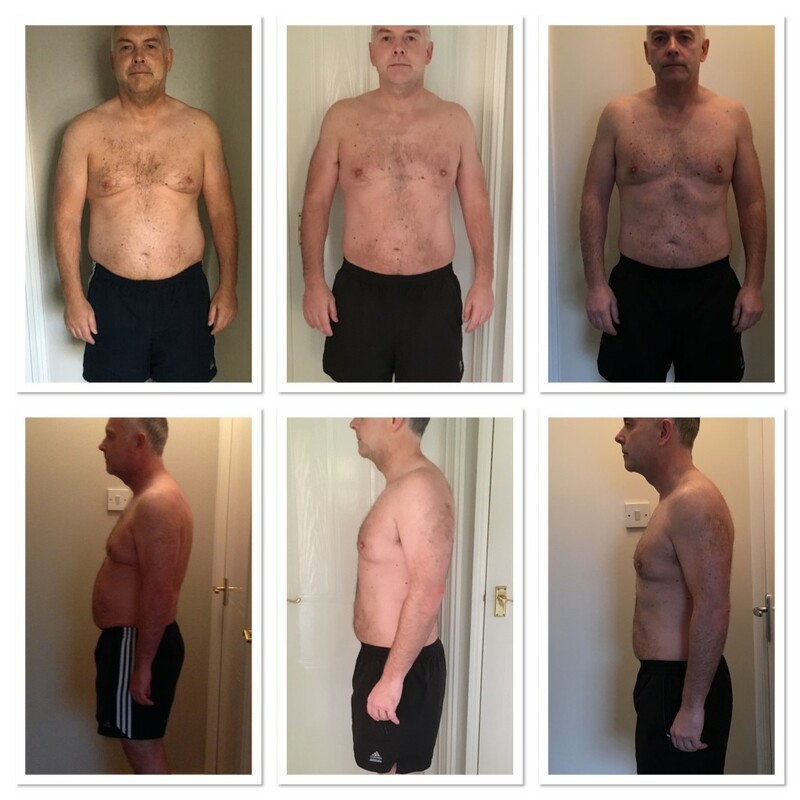 he is now 3 stone lighter than he was 6 months ago but has already gone beyond his previous personal bests in bench press, squat and dead lifts, as well as reducing his body fat. 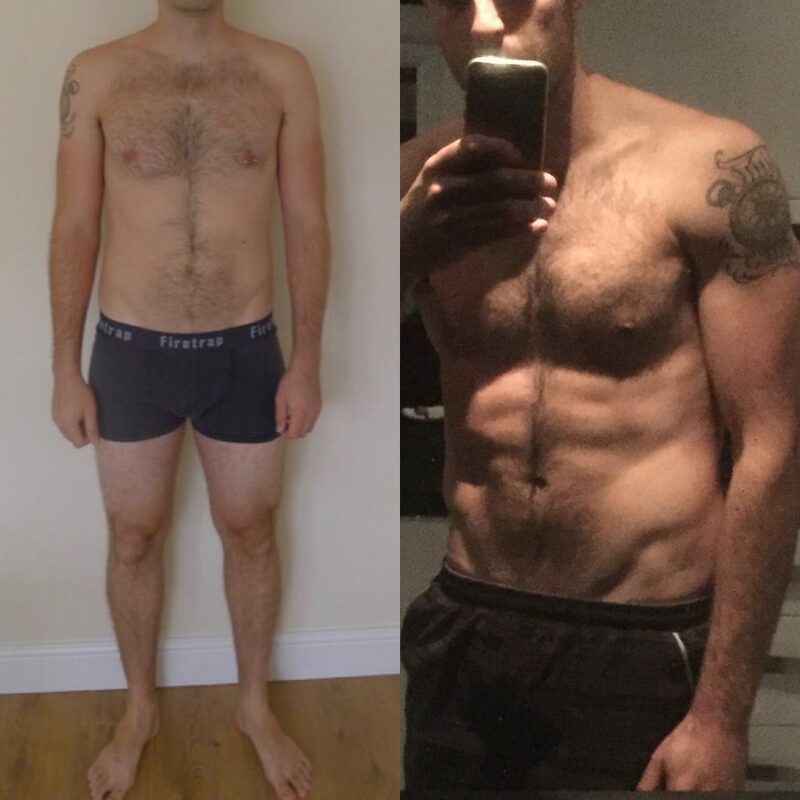 Craig – Wanted Motivating to start weight loss for his wedding, 10 weeks training at one session a week, with an eating guide and home training plans. After training with Sam on the 10 week program I feel that I am back to my more confident and fitter self. The training has given me the boost I needed to lose weight and become much healthier. After years of sitting around saying I was going to lose the weight but never actually accomplishing it, Sam gave me the kick that I needed. 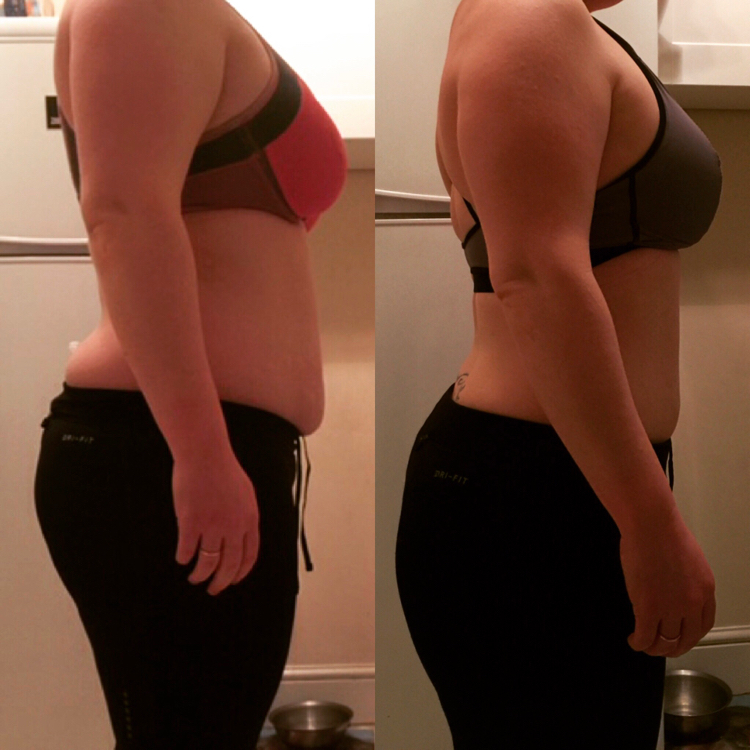 I lost 30lb in 10 weeks, and 8cm around my waist, worth every penny. Thank you Sam. 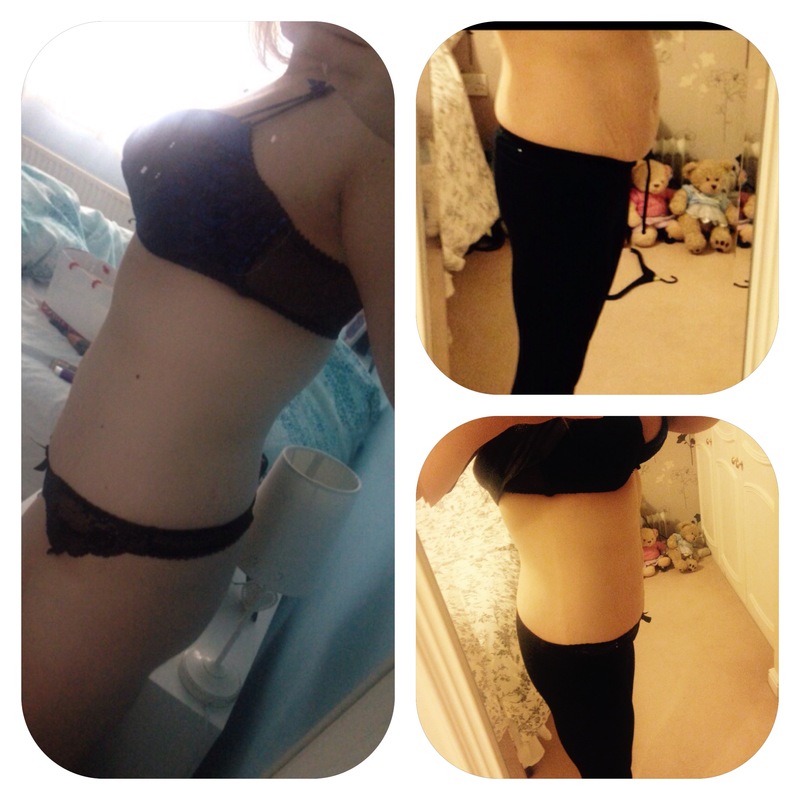 Verity – Came to me stating she is really struggling to get past a plateau with her weight, she did excellent after just 8 weeks. I have been training with Sam for a few months now and I am really pleased with the results. He has helped me tone up, get fitter and drop a dress size. I would highly recommend him, he is good company, very supportive and motivates you to get the results you want. I’ve trained with Sam for over 20 sessions and have really enjoyed it. I started just because I wanted to get a bit fitter and lose a bit of weight. I was a member of the gym but had really lacked motivation to go or to try anything different like weights while I was there. I wanted someone who could motivate to get back into shape and also teach me some new exercises to improve my strength. Every session with Sam has been different which makes it fun and I haven’t ever dreaded a session the way I dreaded going to the gym. A few months after starting to train with Sam I found out I was pregnant. I was really reassured by Sam and he encouraged me to continue training and adapted exercises when I was feeling sick in early pregnancy. I felt reassured that he had trained other pregnant ladies before and was able to tailor the programme accordingly. I definitely feel stronger and have made progress with my fitness since training with Sam and intend to train with him again once the baby is born. I have trained with Sam to get my body fat percentage lower just before my new season with Ipswich Town Football Club began. In just 6 weeks my percentage had dropped from 15% as i ended the last season to 11%. He trained me 2-3 times a week using just dumbells, a barbell and his kettle bells with some ab work thrown in. I was extremely impressed with this result as usually i struggle to keep my fat level down off season. 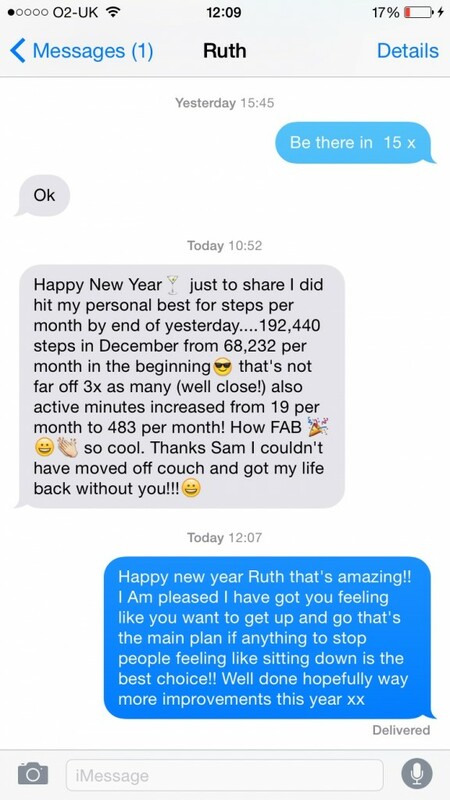 If you want to reach your goals, no matter how ambitious then get Sam to come and train you! I strongly recommend Sam as a personal trainer; he has helped and inspired me to achieve goals and new milestones within my fitness I never thought was possible. I was finding it difficult to get to the gym and found I was not feeling the benefits after exercise. Sam motivates and encourages me even when I feel I am unable to push myself any more. judges and makes me feel better within myself. 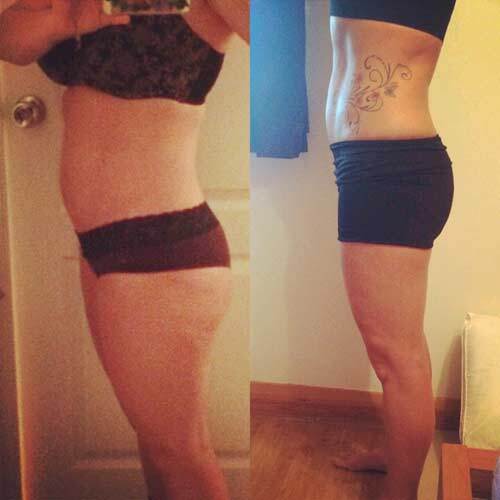 I have achieved good results since training with Sam and have toned in areas I never thought possible. Sam has also devised me a healthy eating plan and advises on aspects of all exercise and diet in relation to my lifestyle. you will find you will enjoy exercise and have fun. 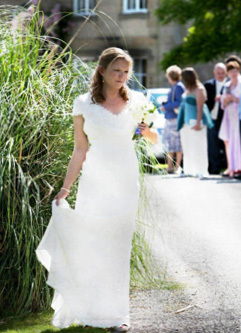 Victoria, Ekring, Notts – 2 sessions a week from October to March for her big day. Still training now to maintain fitness and weight control. After booking our wedding myself and my partner decided we needed to get into shape for the big day. Sam came to our house for the first time had a little chat with us then said shall we have a little training session after that day we have never looked back. It killed us we couldn’t beliveve how unfit we were even thought we both thought the we were fairly fit people. Every session Sam pushes you harder and harder. Through the Sam’s eating programme the results are amazing I’ve lost just over a stone in weight but have dropped two dress sizes from 14 down to 10. Training with Sam has also improve my horse riding, the core strength I have now is fantastic my riding position and sitting trot has been spotted by my instructor. Martin, 38 years old – Ekring, Nottingham, October 2014 to present. I would not have categorised myself as an unfit person before training with Sam. I had always kept up some type of training such as using the gym, running or cycling in the summer. I did realise that I was not the most healthy eater and had fallen into the habit of missing meals when I was busy at work, then eating unhealthy foods for convenience late in the evening when I got home. I wanted to boost my fitness, focus on loosing a few pounds, and get back the motivation I had when I was younger (I am currently 38). From the outset I was surprised how hard I found the training, I quickly realised that I had just been scratching the surface with the excercise I had been doing. It quickly reminded me of what my body is capable of if you apply a little focus and determination. Sam is very experienced and knows exactly what is best for you as an individual. He pushes you hard but in a very controlled way, the sessions are varied and he always finds new ways to wring out a little more performance from you. Even when he is training my parter and myself together he makes sure we are both being worked close to our maximum. The “diet plan” does not feel like a diet at all, I can honestly say that I prefer eating the way that Sam has taught me, and do not miss the foods I have given up at all ( except maybe sticky toffee pudding…..yea, I do miss that). After 3-4 months of training with Sam not only are the changes to my body obvious, but I also seem to have more energy, and feel like I have a much healthier lifestyle overall. I still have much more to achive, but I now have the confidence that I can actually become more of an athlete which would have been a joke just a few months ago. If you want to get fit, look better, feel good about yourself and all from your own home this man is the trainer for you. If you’re a bigger girl like me, going to the gym can be daunting. You feel like all eyes are on you and everyone is fitter than you and judging you. So what do you do? It’s the new year there are a plethora of DVDs coming out promising a quick fix and abs of steel but which to choose to suit you? Nick Atkinson, 52 from Sutton in Ashfield. Train with Sam you will not regret it! I am just about to start my third block of ten sessions with Sam and cannot believe the difference in such a short space of time. I have tried dieting and going to the gym on and off for years but have only seen sporadic results and never managed to consistently stick at it. I bought some equipment for my garage but was struggling to find the motivation to use it so I decided to invest in a personal trainer and it was the best decision I have ever made. I have lost a stone and a half in weight and my body shape looks totally different already. Sam is very professional and pushes you much more than you could push yourself. It is amazing how many exercises you can do with very little equipment and Sam always changes things around to keep each session interesting. He is always on time and is very flexible with days/times and will always accommodate when plans change. If you are thinking about a personal trainer then don’t delay and book Sam for some sessions you will not regret it! 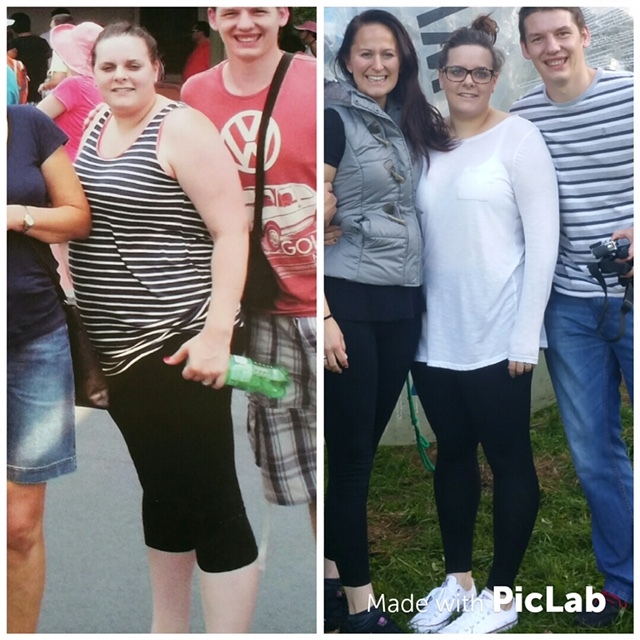 Adrian – Had a heart attack 4 years ago at the age of 36, came to me wanting to get fit and tone up but in a safe way, so I said lets do it! This is what we have achieved in 10 weeks so far. Adrian has worked very hard training twice a week with me, eating what I told him to eat and doing my home plans along side running, he is now so much stronger and fitter in every way! 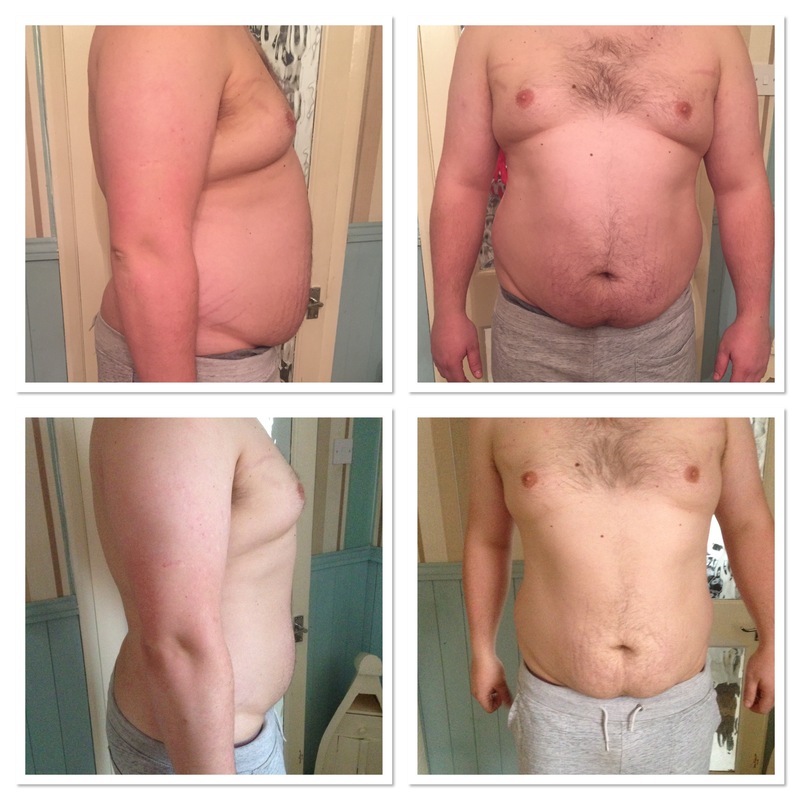 Having contacted Sam last year after trying a few other PT’s, I knew straight away that he would be right for me. I have a cardiac problem and need my PT to understand that and develop a program around that. He did so with aplomb and has changed the way I do things completely. My diet is also tailored to my needs and requirements. I cannot stress to anybody considering Sam that he is fantastic at his job and knows how to get the absolute best out of his clients.. Anonymous for now! 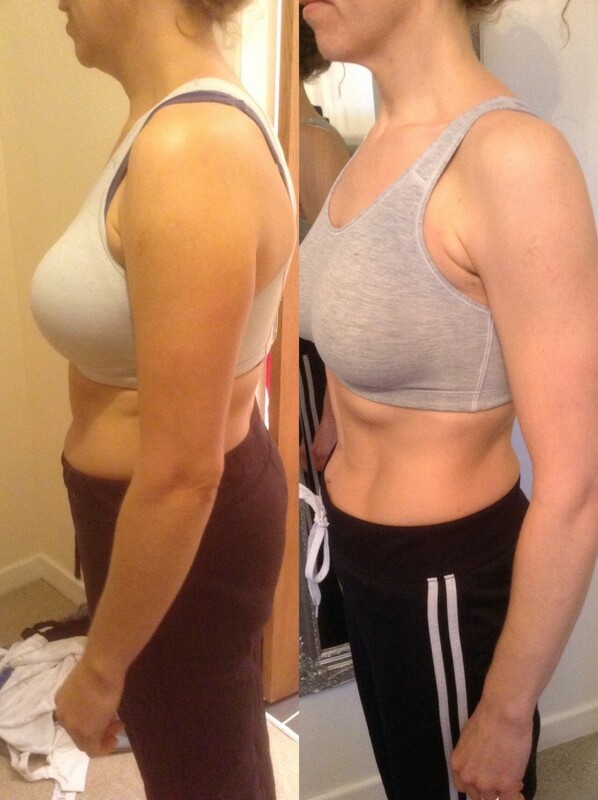 – This is her after 4 weeks training with me, amazing effort, she doesn’t want her name using yet as she has only had 8 sessions with me and wants a better picture with a better result! 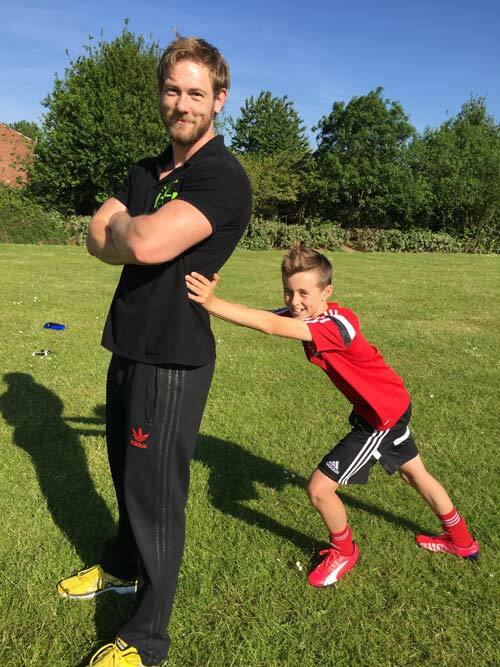 My son started with Sam to improve his speed and fitness to help with his Football training at Nottingham Forest Academy. He plays for the under 12’s team and after weeks of intense training with Sam he has just signed a new contract for the under 13’s. Sam has worked hard on my sons speed and running technique and all the hard work has definitely paid off. Watching my son now compared to the beginning of the football season, he is faster and a lot more fitter than he has ever been. Sam is a fantastic guy and anyone who has children that needs help for them to reach their full potential should definitely give Sam a call. I have trained with Sam now for just over a year. Before training with Sam I visited the gym usually 3 times per week spending over an hour each time working hard but getting no real results in terms of body changes. training seemed totally different to what I was used to but I suppose that’s because he knows what he is doing! After spending 2 years in the gym and not losing weight but keeping fit, Sam had managed to cut my waist line down from a 38 to a 34! I had lost 2 stone in weight and felt fitter than ever. We just completed Mens Health Survival of the Fittest today (Saturday 13th October) which is a 12k race with water and many obstacles. I would have not dreamed of competing in this a year ago. 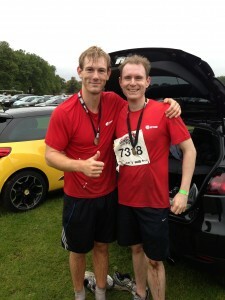 Sam spurred me on throughout the whole event, although I would have to say I did not enjoy it, I can say I did it! I was reluctant to sign up for my trial session with Sam at a wedding fair, I m very glad I did keep my session, as within the first 2 months of training with Sam I lost 1 and a half stone, several cm from my targeted areas and felt a lot healthier. This was achieved by Sam motivating me, constructively kicking me into shape and encouraging me to work through the fatigue wall. Sam is a very approachable, friendly, flexible and professional. He does a fantastic job in a very small space and a few weapons/Equipment to ensure you work hard and make progress. I am still working hard with Sam to achieve my goals (a healthy and smaller me) and starting to enjoy the “good pain” you endure in a session. I would defiantly would recommend Sam as he can ensure you great results if you are shy to exercise or a fanatic! It’s one of the best choices I have made to ensure I become healthier and happier !!! 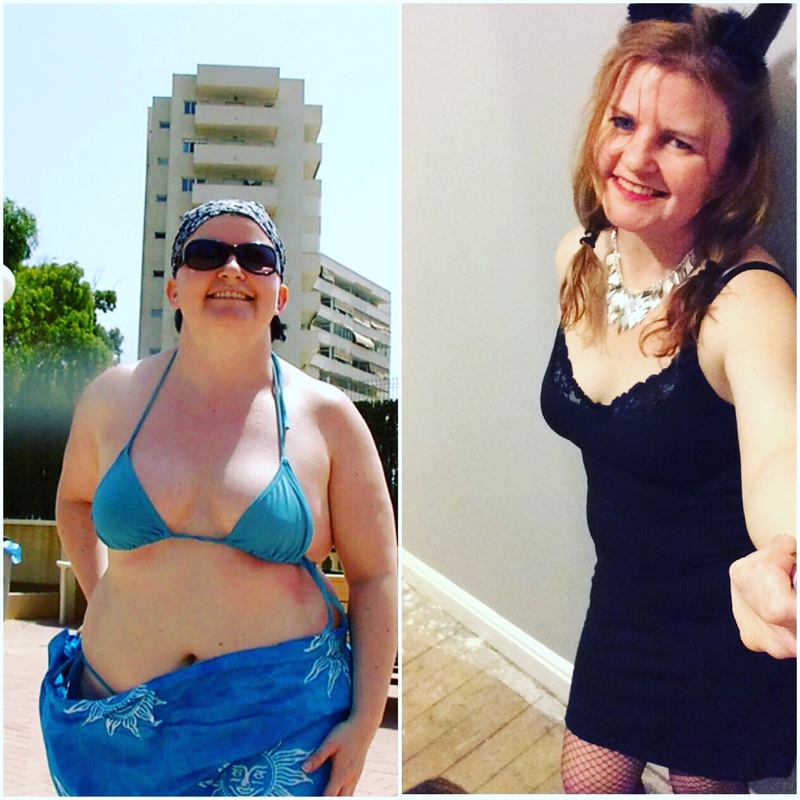 Although I had started with the best of intentions (gym membership and slimming group) with just 14 weeks to go I still had not lost much weight and had made little progress with my body shape. Id tried personal training before through my gym and enjoyed it but found it very expensive. 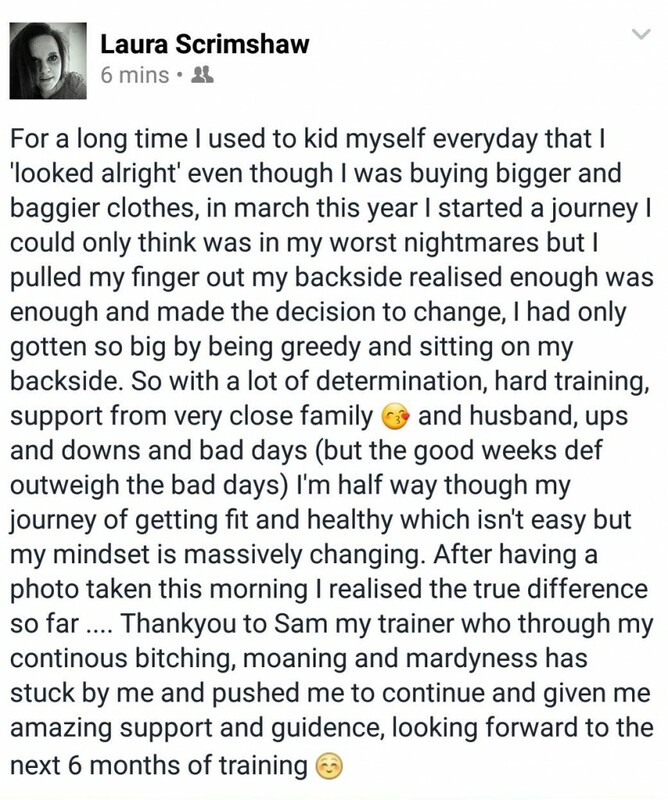 A good friend had attended one of Sam’s boot camps and suggested he could help. Training at home was a little strange to begin with, but made training easy and convenient; Sam was flexible with times and always on the end of the phone to give reassurance and advice on diet and exercise. I lost almost 35 pounds,7 Inches from my waist, 3 Inches from my thighs, 2 Inches from my arms and 2 inches from my calves. When the big day arrived I felt incredible, my friends and family that I hadn’t seen for a while couldn’t believe the difference. More importantly I had no regrets. 50 years old, Sutton, trained for 4 weeks. Lost 6 inches on her waist and 12lb. I found Sam through his website whilst looking for a personal trainer to get me back in shape after the Xmas period ready for my holiday at the end of January, I only had four weeks and was quite worried that I wouldn’t achieve my objective of a 10lb weight loss, I needn’t have worried at all, Sam helped with diet and motivation as well as exercise and stamina and I felt fabulous when our sessions came to an end. He worked me extremely hard and although I dreaded every one before he arrived knowing what I was in for, the sessions were fun and went fast, I felt totally revitalised when he left! If you want a great workout where you are pushed to and sometimes beyond your limits then give Sam a call, I’m just waiting for him to run a summer boot camp now so I can join in! thank you Sam. >35 years ol and only training with me for 6 weeks, taking on board my eating plan and training plans just look at the changes already! 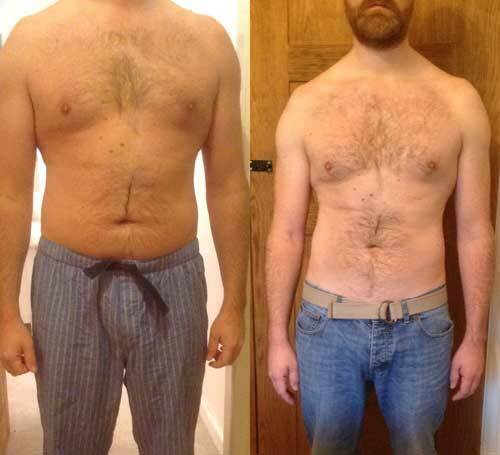 34, Male – wanted to lose size and inches around his stomach. Found Sam on a simple google search for a good personal trainer in the Nottingham area. After reviewing quite a few different websites I found Sams to meet the criteria i was looking for. So I arranged for a block of 10 sessions at a reasonable price. I work away from home during the week and found myself in the pub most nights which also resulted in a bad diet. So i needed a kick start as i am usually quite health conscious. After speaking with Sam on the phone I found him extremely flexible in both the days and times i could train. 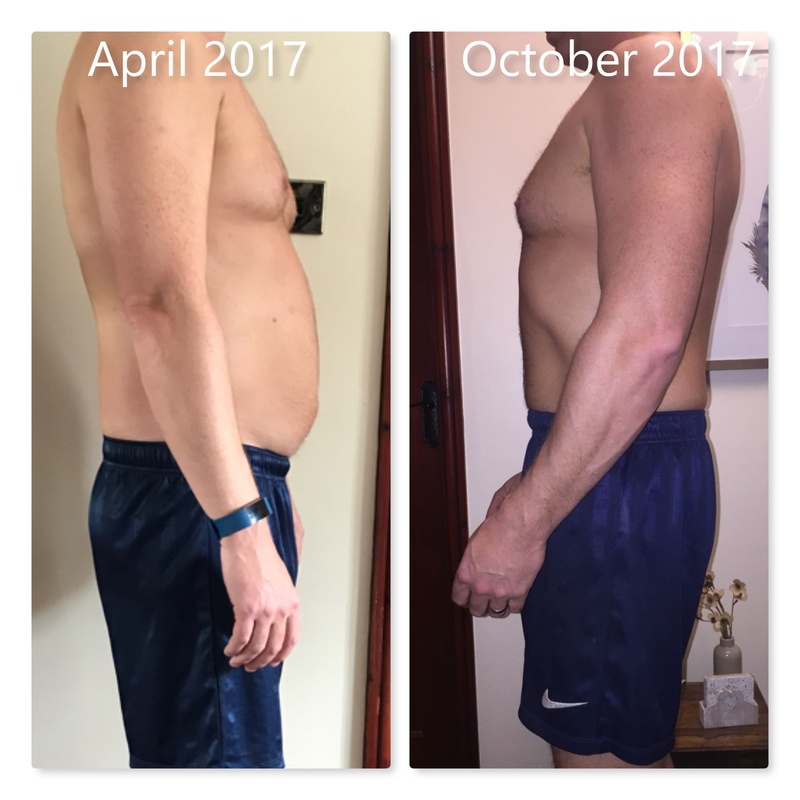 My only goal was shifting weight around my belly – fat loss. Sessions were hard but rewarding which is what you would expect if you are paying someone to help you achieve your goals. 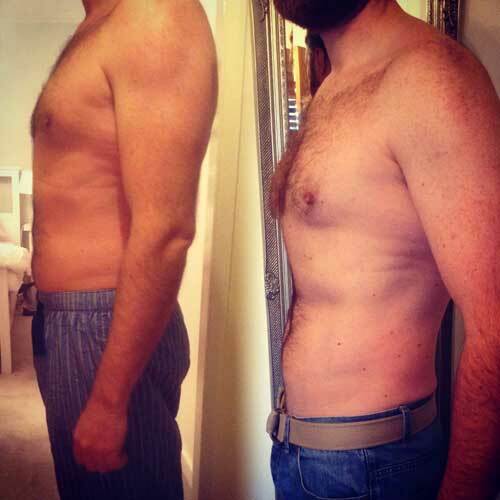 After the 10 sessions i noticed a massive difference with both my waist size and the collar size on my work shirts. As the progress was noticeable i proceeded to continue with the training with an extra 20 sessions. Overall I really rate the level of professionalism of the services provided and would highly recommend Sam as a trainer who will help you achieve your goals. He also provides 24 hr advice on the foods and supplements you should be having. Get booked in!